Winn-Dixie recently announced a recall of its private label chocolate drinks for mislabeling. The recall was announced August 16, immediately after it was found that there was mislabeling on the products. The recalled product is said to contain wheat, which is not indicated in its label. 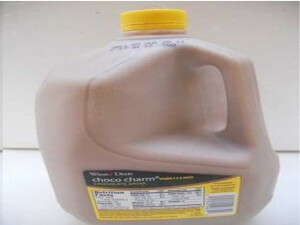 The recalled chocolate drink has the label “Winn-Dixie Choco Charm Chocolate Drink” and is sold in 1-gallon (128 ounces) transparent plastic bottles. The bottle cap is yellow in color and the UPC code indicated on the container is 21140-29830. Wheat is considered to be a common food allergen. Thus, people who have high sensitivity to this ingredient may suffer from an allergy attack. In worst cases, allergy attacks could progress to something more serious, especially in people who have weak immune systems. No medical emergencies have been reported which are related to this recall however. The recalled chocolate drinks were distributed to Winn-Dixie stores in Florida, Alabama, Georgia, Louisiana, and Mississippi. The said products were displayed in the stores’ dairy department. Winn-Dixie is working with the FDA, as well as with Florida’s Department of Agriculture & Consumer Services and the Food Allergy and Anaphylaxis Network to carry out this recall. According to Winn-Dixie’s Marketing Vice President, Mary Kellmanson, the company encourages consumers to return the recalled product and they will receive a refund, without being asked any questions. For their convenience, consumers can return the product to the nearest Winn-Dixie or SaveRite store. For questions about the recall, they can also contact Winn-Dixie’s Customer Services at the toll-free number 1-866-WINN-DIXIE.